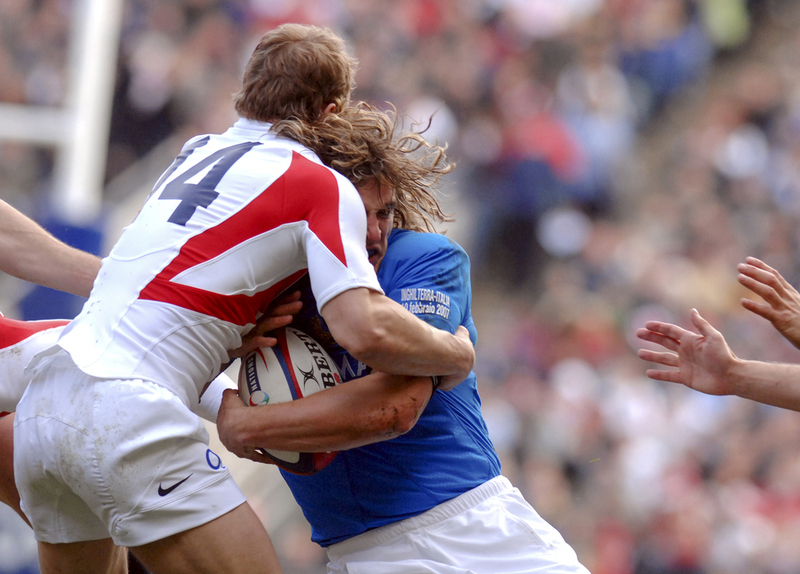 The game of rugby involves players tackling, rucking and mauling opponents in a bid to outscore them and win the match. These actions could otherwise incur criminal or civil sanctions if not within the parameters of a sporting contest. If you have suffered an injury during a rugby match which was as a result of an opponent acting significantly outwith the rules of the game please call 01252354412 for advice about making a personal injury compensation claim . Indeed, any deviation from the laws of the game may expose a player to the risk of legal action in the criminal or civil courts. The liability of players and sporting bodies has become increasingly important and subject to legal proceedings. With the commercialisation of the sport at an all-time high, and the long-term medical repercussions of injuries increasingly brought to light, it is likely that more civil court actions will be brought. The principles that apply to the game of rugby as to whether or not a player may be liable for damages do not differ from other contact sports; however, the sheer amount of physical contact required during a rugby game may make players more vulnerable to civil liability. The intention to harm another player, even within the context of rugby, may, in extreme circumstances, result in a criminal charge of assault. This can occur through an excessive lack of care –otherwise known as gross recklessness. Far more likely, players may find themselves subject to a negligence claim in the civil courts because of the universal obligation for everyone to take reasonable care for the physical safety of others where they are expected to foresee the outcome. The duty one player owes to the other is that taken by a reasonable person in the position of the player at the time the injury took place. To be liable for a personal injury, a mistake must have directly caused the injury, not just part of the sequence of events but in way that makes the wrongdoer responsible for the event, such as a ‘spear tackle’(a challenge that upturns a player past the horizontal). This does not create a variable standard, but simply evaluates whether a reasonable person of the same level of skill, training or qualification would have done the same in those circumstances. If you need help in working out whether you may have a personal injury claim to make then please call 01252354412 for free advice . Or complete the online enquiry form and you will be contacted thereafter . When can a claim for a rugby injury be raised? The examination of the reasonableness of a person’s acts will be taken into account, for example, was there a deliberate intention to knock the player out of the air when contesting for a kicked ball? It should be noted that, because of the inherent danger of the sport, something more than an error of judgement must be required to establish a claim for negligence. The offending player must have shown a wilful disregard for the consequences of their actions. In a sporting context, where a participant in a game or pastime is injured by the act or omission of another participant, the existence and extent of a duty of care is to be determined in the light of all the circumstances. This includes the risks that may be reasonably inferred to have been accepted by the fact of participation. Get help today , call 01252354412 or fill ouot the enquiry form to receive free intial advice . When is a club liable for an injury? The professionally contracted player has a number of obligations that they are required to observe arising from their contract of employment with the relevant sporting authority or their rugby club. Due to this contractual arrangement, an employer or club is liable for the negligent actions of an employee or player who causes serious injury to another whilst they are acting in the course of their employment. This is known as ‘vicarious liability’, and allows a player to claim for personal injury because the harm was done during the playing of the game and, therefore, in the course of the second player’s employment. This may include a deliberate stamp to a player, but does not extend to acts beyond the duration of a match. Additionally, this creates employment rights for players. Thus, employers may be liable where they subject a player to devastating and long-term health consequences by failing to warn them of the risks and consequences of preventable injury. For help at this stage please call 01252354412 to discuss your situation and whether a claim can be made on your behalf . The level of player remuneration varies dependant on the level at which the sport is being played at. In 2013, the NFL agreed a $765 million settlement with over 4,500 former American football players who were suing on the grounds that they had been misled over the long-term dangers of head injuries. With rugby participants becoming bigger and stronger, and younger players forced to train harder to reach elite levels, it is reasonable to assume that litigation in similar terms as that of the US will be seen in the UK. Importantly, in rugby related injury cases the pay-out (or ‘quantum’) of damages for loss may also include prospective earnings. In settling disputes it is typical for insurance providers to adopt a flexible and individualistic approach to assessing damages and negotiate quantum between the parties. Courts, especially in the context of rugby injuries, have less experience in deciding damages for sports injuries, however, will use personal injury guidelines supplemented by case facts to fix an award. We can help you today with your claim - call 01252354412 for immediate assistance . Or complete the online enquiry form and you will be contacted thereafter . Get help and clarification about your rugby personal injury claim today . Please call 01252354412 or fill out the online enquiry form for free advice .